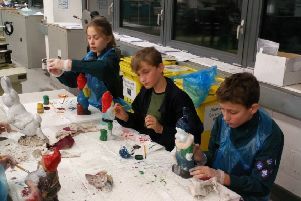 Sixth Hastings Scouts have been working hard improving on their arts and crafts skills at a fun gnome painting session. The Scouts enjoyed getting their hands dirty as they began their painting evening together. 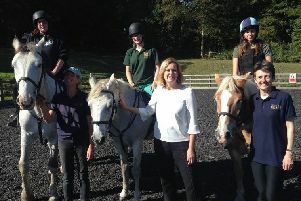 Amber Rudd MP visited the Fairlight Hall branch of the Riding for the Disabled Association (RDA) to learn about their work.